Ken Mogg’s coffee table book is better than similar books about the director. The title might lead one to believe that the book is another biography, but it is really a tribute to the director’s film output. There are similar books about the director available, but The Alfred Hitchcock Story stands out for a number of reasons. The text of Mogg’s book benefits from an easy to read style, and will certainly expand the reader’s appreciation of the films discussed. Readers should also be suitably impressed with the vast amount of photographs that are included on each page. I would venture a guess that readers will find at least a few photos that they have never seen before. The book’s structure is somewhat unusual. It is broken up into five different units (The Early Years 1899-1933, Classic British Movies 1934-1939, Hollywood 1940-1950, The Golden Years 1951-1964, and Languishing 1965-1980). Each of these units includes a four page introduction written by Dan Aulier (who wrote Vertigo: The Making of a Hitchcock Classic, and Hitchcock’s Notebooks). These introductions provide the reader with a little biographical and ‘behind the scenes’ information that place the films in a certain period of the director’s career. This context enriches Moggs chapters on the individual films (which are usually either 2 or 4 pages in length). Most of these diversions are either two or four pages long, and all of them should interest readers. I imagine that many Hitchcock enthusiasts will likely know a lot (if not all) of the information provided by the book, and some will likely disagree with some of Mogg’s theoretical analysis. In addition, both Mogg and Kemp have a tendency to relay other people’s so-called “research” without questioning it. Let’s face it, there are a lot of myths about Alfred Hitchcock that have no basis in reality (and even more that is questionable). 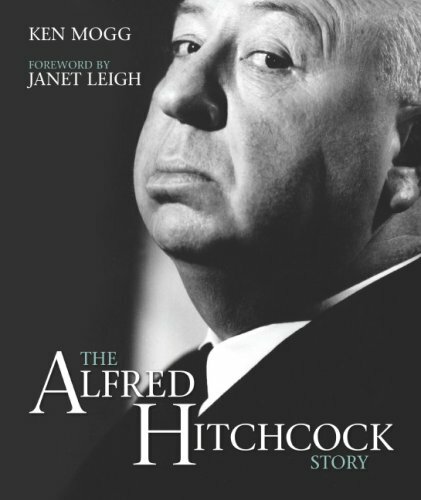 However, there is certainly enough here to recommend the book to Hitchcock fans. The photos alone provide an adequate excuse to add it to one’s library. I’ve never read this one before. I have seen it. I might pick it up.